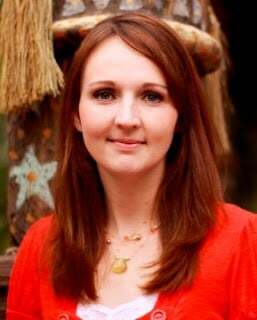 One thing I’ve learned for sure is that the easier you make it to choose well, the more successful you will be with keto. I’m sure by now you’ve thrown away everything in your kitchen that is bad for you in order to begin your keto lifestyle. Good for you! 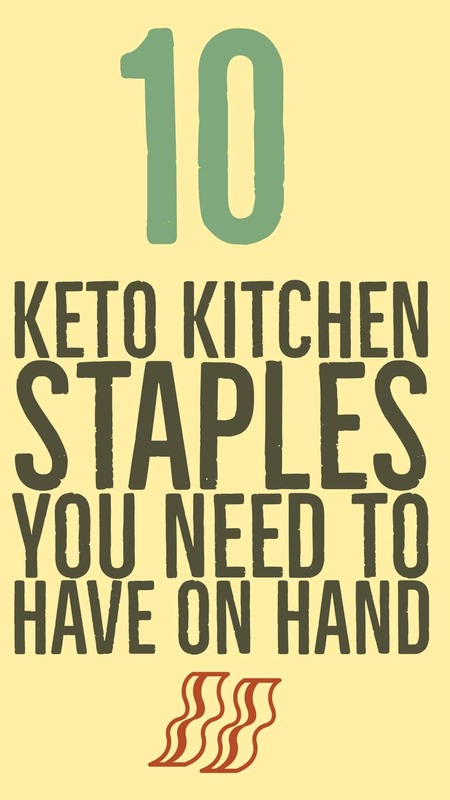 The next step is to make sure you have these 10 keto kitchen staples always at the ready. Trust me when I tell you they’ll make your life so much easier, and infinitely more delicious! Almond flour isn’t really flour at all. It’s actually blanched almonds ground to a fine powder. There is also something called almond meal. That’s unblanched almonds that are ground with the skins on and is a bit more coarse than almond flour. You can use almond flour in any number of yummy keto recipes, like cookies and pancakes. Ground from coconut meat, coconut flour is high in fiber. It has a slight hint of coconut flavor and so it lends itself for use in sweet recipes. It also makes an incredible coating for chicken strips. Using it in the same way you’d use cornmeal to coat chicken, coconut flour can create a nice crunch. I find adding a little “heat” in the form of a favorite spice really makes the chicken something special. Replace your ketchup with the sugar-free option, and make sure your sugar-free dressing isn’t low fat or loaded with carbs. Stevia is made from a plant. It’s up to 300 times sweeter than sugar and has no carbs, calories, or artificial ingredients. It’s perfect to sweeten your tea or coffee. Splenda is the brand name of a sucralose-based artificial sweetener and it’s 600 times sweeter than sugar. It’s used in beverages, baking and things like chewing gum and sugar-free candies. Splenda is used in lots of keto baking because it will maintain its sweetness up to 450 degrees and also because you measure it cup for cup to sugar. It can be used to replace sugar in pretty much anything and you can buy it in big bags like sugar. Stevia will also maintain its sweetness at a high temp, but baking with it isn’t always the best idea. For one thing, in large amounts it has a distinctly bitter, almost chemical taste. (Weird because it’s natural!) It doesn’t measure cup for cup to sugar, so you need to look for a conversion chart online. If you do decide to use Stevia to bake, remember that you’ve lost the actual bulk of sugar. To make up for that you’ll need to add 1/3 cup of liquid or bulk, such as applesauce, yogurt, egg whites or water. Be careful of the applesauce and yogurt to be sure they aren’t loaded with sugar. I like to have both on hand, but some people favor one over the other. Remember that no matter which you choose, eating too much of an artificial sweetener can sometimes cause stomach pain. Maintaining variety with the keto diet is one of the keys to success. 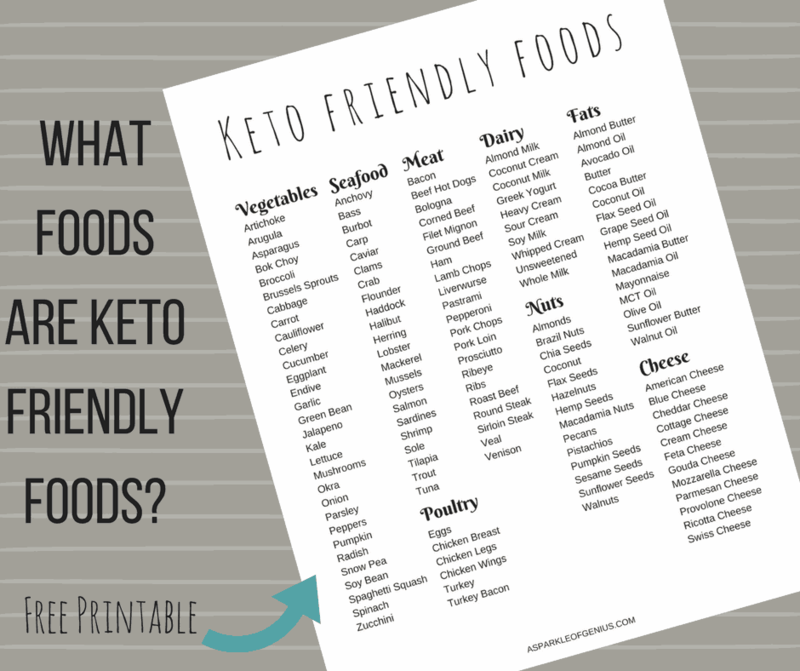 Dairy is a building block of so many fantastic keto recipes that you should be sure to always keep plenty in the refrigerator. Real butter, heavy whipping cream, sour cream, cream cheese, string cheese, and hard cheeses are must-haves. No surprises here. Almonds, eggs, tuna, chicken, lean beef, salmon, bacon and pork chops should always be on your kitchen staples list. 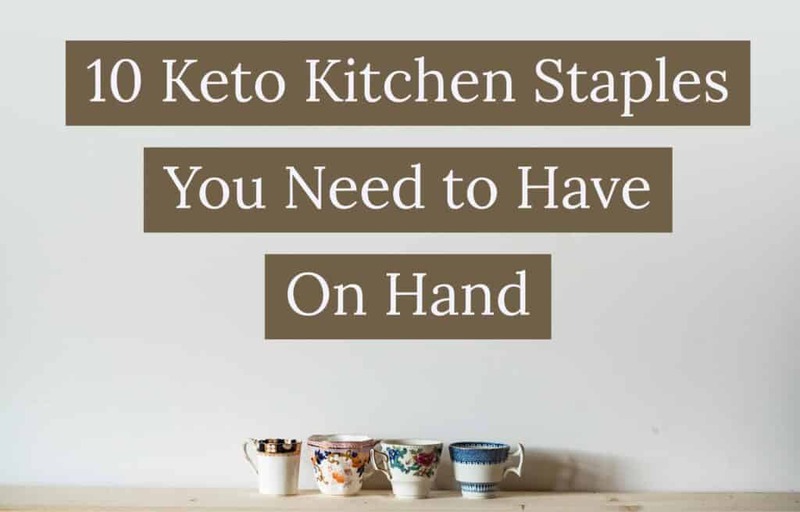 Every keto fan usually has at least a few, if not all of these things in the kitchen. Pork rinds aren’t packed with nutrients, that’s for sure. But, when you need the crunch that you used to find in unhealthy, carb-laden snacks, pork rinds are the best thing ever. Hummus and full fat Laughing Cow are a must, too. Be sure to watch your calories with these. Here are 10 of the Highest Rated Keto Treats on Amazon Right now. Sugar-free Jello pudding is a no-brainer. Replace the milk with heavy whipping cream and you have a dessert that will cure any sweet tooth. Quest Bars have a cult following in the keto community. They come in all sorts of flavors from cookies and cream to chocolate chip or birthday cake. They are quite dense and heavy and some tend to have a chalkier texture than others. Prepare to feel stuffed after you eat one. You can never have too much peanut and almond butter. Be sure you look at the ingredients with a careful eye so that you’re not overdoing the sugar or calories. This one can be tricky because not all protein shakes are created equal. You should look for low sugar, low carb mixes or prepared shakes. Quest Protein Powder and FitMiss Protein Powder are favorites. If you aren’t in love with the somewhat gritty consistency of protein powder, I highly recommend FitMiss in Vanilla Chai. Did I miss any of your favorite keto kitchen staples? Are there specific brands you’d like to suggest? I’d love to hear more. Check out these great products, videos and recipes. You’ll also love this 5- ingredient Keto Cookbook or the complete Ketogenic Guide for Beginners.